An Ingrown Toenail can cause significant pain and inconvenience for many. However, it can be a condition that soccer players must pay extra attention to. Ingrown toenails happen as the edge of the nail bends inward into the skin. This can cause significant pain, discomfort, inflammation, tenderness, and infection if not treated timely. For soccer players, this condition can occur when cleats that are too narrow are worn and frequent pressure is applied to the toenail from hitting the inside of the cleats. The more trauma the nail sustains, the more curved the toenail gets and turns into an ingrown toenail. In conjunction with playing soccer, other factors that can lead to the development of this condition include cutting the toenail incorrectly or having a genetic deformity that can make the toenail more likely to dig into the surrounding skin of the toe. • Trimming toenails properly in a straight manner, being mindful not to cut them too short. • Utilizing cleats that fit correctly and allow for ample room for the toes to move. For children that play soccer, their shoe sizes will change frequently and so should their cleats. • Soaking the ingrown toenail in warm water and massaging it to reduce inflammation. • Having a podiatrist remove the edge of the nail that is digging into the skin or using a chemical to destroy the same edge of the nail will help stop it from causing further pain. This procedure can also be used to permanently remove the entire toenail so that it does not ever grow back. Soccer players can suffer ingrown toenails due to the nature of the sport and the focus that is placed on using feet for most of the game. Please contact us at Palm Beach Orthopaedic Institute, located in our West Palm Beach, Jupiter, Wellington and Palm Beach Gardens, Florida offices to avoid complications from this condition. 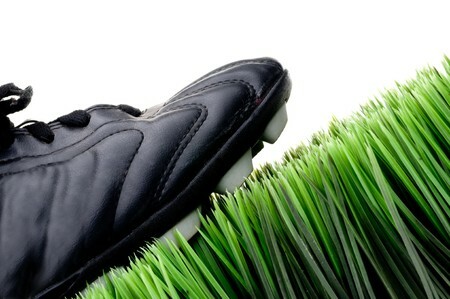 Our podiatrist, John Schilero, DPM, can assist with making your soccer game less painful for your toes! Make an appointment by calling our office at 561-694-7776 EXT. 41 and check out our Patient Education.